Kaili Chun + Hongtao Zhou. 'Net_work,' 2017. 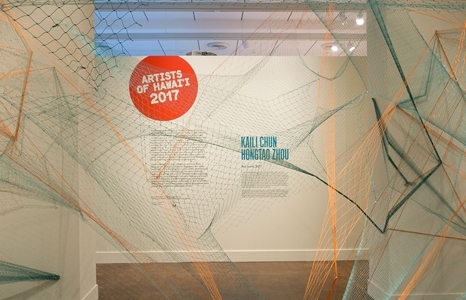 Join docent Susan Palmore for a themed tour featuring the Artists of Hawai‘i 2017 exhibition, followed by an art discussion. Visitors meet the docent at the entrance to the museum.